Interior Minister Aryeh Deri says that Reform Jews have suffered a setback with Donald Trump's election as president. 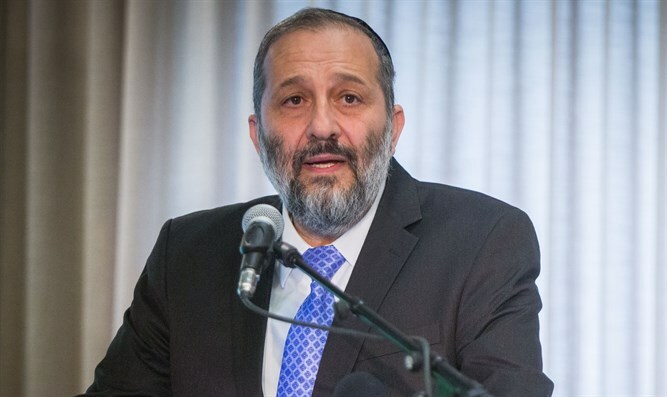 Shas leader and Interior Minister Aryeh Deri welcomed the results of the American elections Thursday and said that the Reform Jews in America had suffered a "bitter blow". "It is too early to discuss the possible repercussions of Trumps' election as president," said Interior Minister Deri, "but there is no doubt that we should thank God that all the desecrators of the covenant and impersonators of Judaism who wished to take control of the Land of Israel and introduce their destructive reforms- received a significant blow." "Their influence and threats came from their connection to the administration in America, they realize that they have lost this power and we can, God willing, continue to strengthen the traditional religion which we received from previous generations. "Many Jews said over the last few days that if such a miracle occurs, it must mean we have reached the days prior to the advent of the Messiah. We must truly be in Messianic times when everything turns out favorably for the people of Israel." Most mainstream Orthodox Jews voted for Trump, while Reform, Conservative, Open Orthodox and unaffiliated Jews are on the left liberal side of the spectrum and voted for Clinton.